5th Gen lower control arms?!?!??? i was browsing through craigslist and this guy was selling lower control arms for 5th gen preludes...! 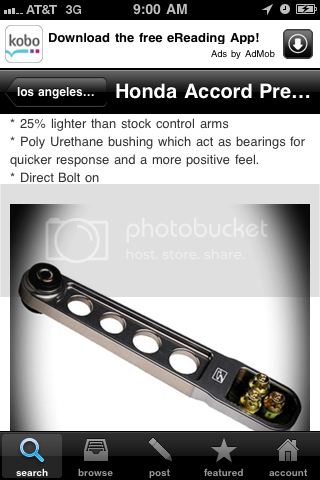 ummm... i thought there weren't any modified control arms for ludes... is this true??? Re: 5th Gen lower control arms?!?!??? because thats not a prelude lower control arm..... he just put prelude so stupid people/people that dont pay attention/more people will see it.